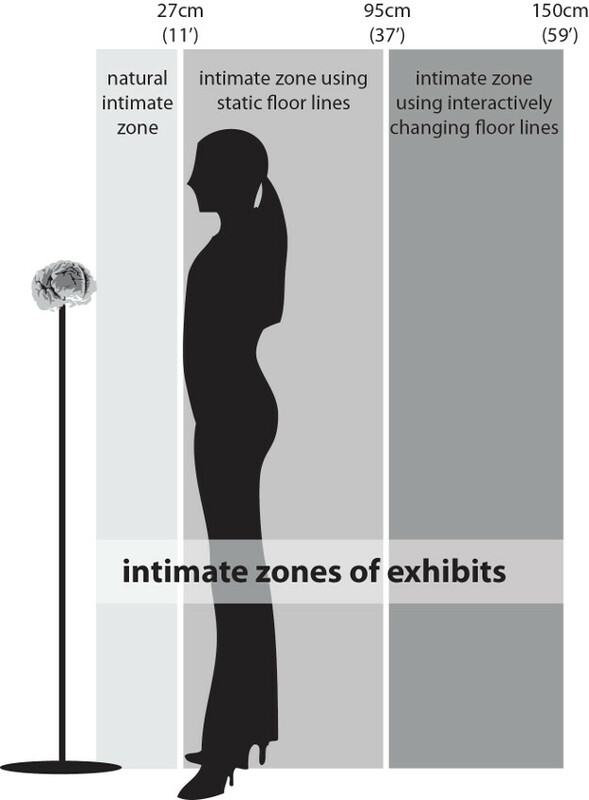 proxemic zone that is respected by exhibition visitors and which is 27cm. 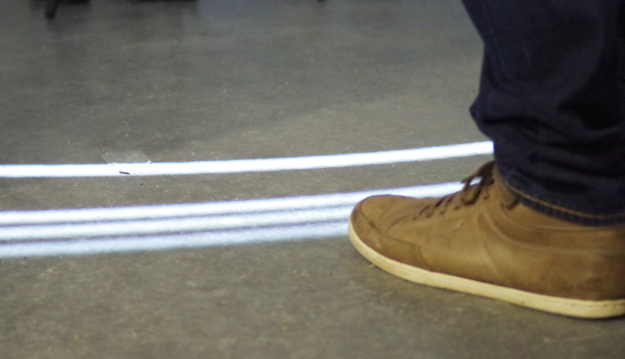 A zone around an exhibit that visitors will not enter can be increased through lines projected on the floor. to manipulate these zones in the context of exhibitions. That might be used, for example, to increase the safety zone of exhibits if the room is crowded.